What is an Aquarobic system? 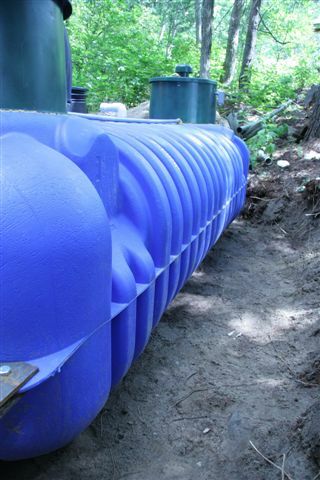 Aquarobic is a sewage treatment system designed to treat all your domestic or commercial wastewater. 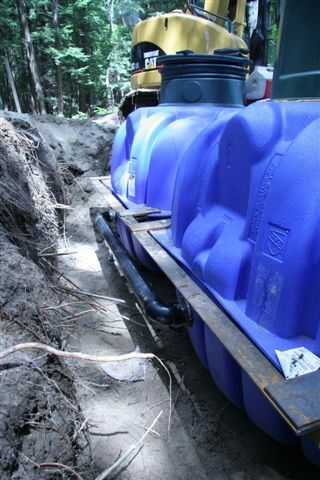 Situated on your lot, it is designed specifically for your needs and is installed by a licensed septic installer authorized by Aquarobic. How does Aquarobic purify wastewater? Raw sewage containing millions of bacteria enters the processing tank and is mixed with air. Oxygen causes the aerobic bacteria to thrive.These aerobic bacteria consume the carbon-containing pollutants, producing carbon dioxide gas and inert chemical ash. What remains is sludge and wastewater. The sludge remains in the tank. The wastewater is pumped through the filter field for final polishing and then into the site soil for disposal by absorption. Does Aquarobic give off foul odours? No. The aerobic process gives off odourless carbon dioxide gas. On the other hand, a septic tank gives off foul-smelling hydrogen sulphide and methane gases. How often is sludge removed? 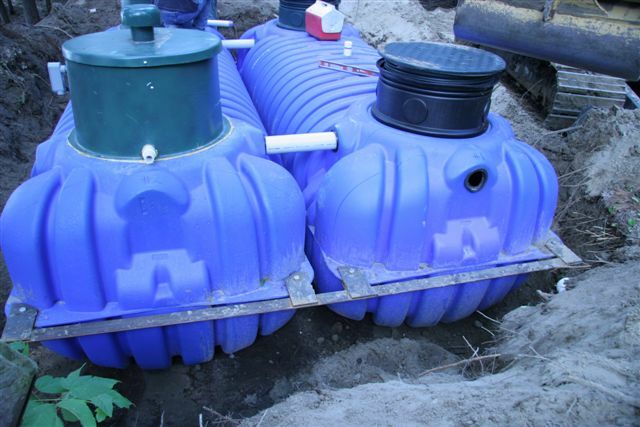 Aquarobic research indicates the average system will require sludge removal every 4 to 8 years, unlike a standard septic tank, which requires removal every 2 to 4 years. Sludge removal depends on use. 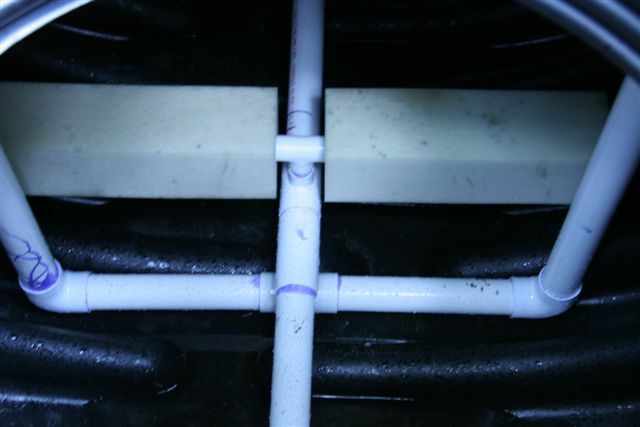 How can Aquarobic dispose of all my wastewater in a small filter bed? Because, unlike other septic systems, over 95% of the sewage treatment is done in the processing tank  not the disposal area. Is it possible to put Aquarobic on a difficult site? Yes. There is the widest possible variety of site designs available to you. The Aquarobic Mini-Plant only requires 1 tank and the disposal field can go hundreds of feet from the tank, up or down grade. 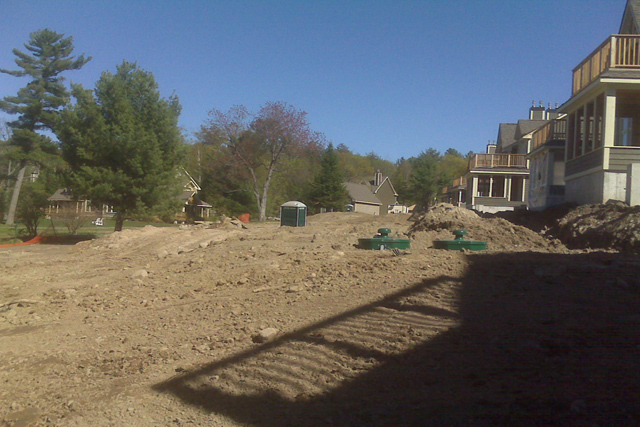 Are there any regulations I must meet governing the installation of a private sewage system? management regulations will provide an expert opinion at no obligation. Can Aquarobic be used for subdivisions? Yes. Our designs permit either single or multiple family dwelling systems. What is included in the Aquarobic Warranty? On new systems all parts are covered by a two-year warranty. With our all inclusive service contract, all parts and labour are covered for life. What is the Aquarobic Service Contract? With every Aquarobic system, there is a compulsory Service Contract required as outlined in the Building Code. Aquarobic Canada or it’s authorized agents will completely maintain the system at regular intervals, provide necessary parts, and promptly respond to any emergency calls you may have. Is the Aquarobic Service Contract a good buy? Yes, it’s excellent. You have a completely protected system. It provides both a maintenance program for regular service and an insurance program in case of problems. Regular maintenance and proper use insure a long life for your system. What is the energy cost for an Aquarobic system? With our energy efficient blowers and pumps the normal operating costs are equivalent to running a refrigerator. What program is available for seasonal Aquarobic owners? Aquarobic has designed a program for cottagers who wish to shut down their system for the winter. Arrangements are made with you for spring start up and winter shut down. Should I be concerned about the environment? Definitely. Our environment is a concern to everyone. With on going government discussions with regards to wastewater disposal and the effects on ground water, it may only be a matter of time before a standard septic system is a thing of the past. Our system produces a very clean effluent that goes to the discharge area and eventually back into the ground water. Special treatment for my system? Sewage and gray water discharged into our system falls under the same guidelines as a septic system. Aquarobic Canada supplies a do’s and don’ts sheet with each system. Aquarobic has installed over 20,000 systems in Ontario since 1972, and today many of these systems are still in use. With proper use and regular maintenance the system will operate for many years to come. An Aquarobic system will prolong the life of your discharge field. 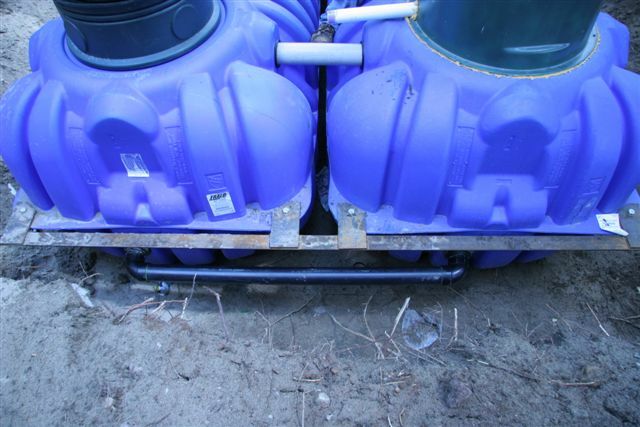 What should I look for when buying a septic system? 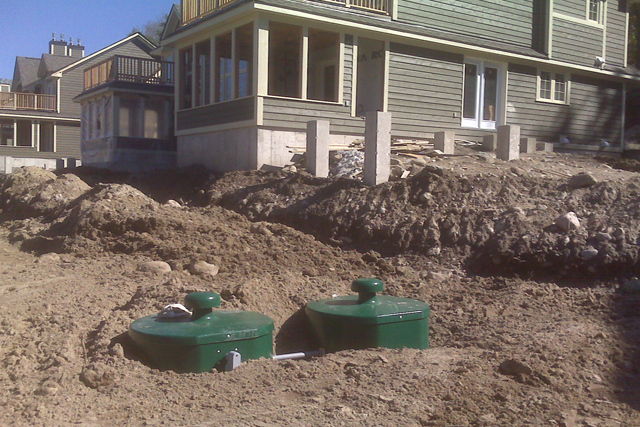 A septic system is a major component of your home. Because it is buried in your yard, and out of site, does not mean it’s unimportant. 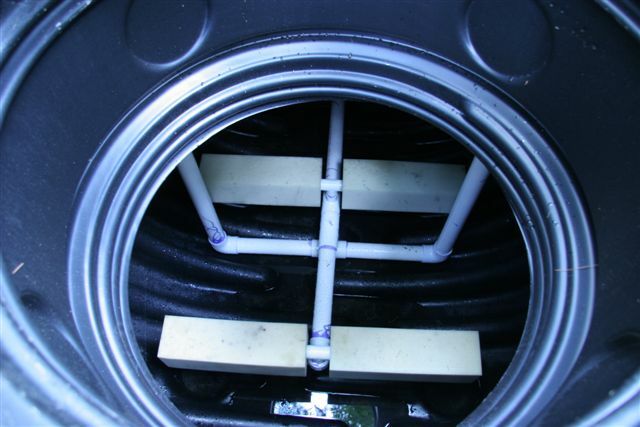 On determining what septic system to purchase, compare yourself to buying an appliance. Do I buy a quality brand name? Is extended warranty available? If there is a problem, how difficult is it to get repaired? Some passive treatment systems offer a no cost service warranty for a few years, but when that time is up, and components have to be changed, this cost can be staggering. A maintenance contract can be compared to an insurance program that will eliminate any future large replacement cost. What should I know about the use of an Aquarobic system? The system should be treated like any septic system. If the system is used for disposal of all normal household waste, pumping out of the processing tank should last twice as long as a conventional septic tank. Aquarobic is the best, most proven, and reliable system avaliable. With regular service, common sense and normal use you will have years of trouble free use.